In modern design, less is definitely more. Kitting-out your home with the latest technology makes life that little bit easier. But the wires that come with it are at best an eyesore and at worst a safety hazard. LG is a brand famous for its stylish, contemporary designs which fit seamlessly into home decor. The LG AN-WL100W is a wireless media kit that is designed to detangle your home from annoying wires by sending a clean, uncompressed HD signal to all your LG television. 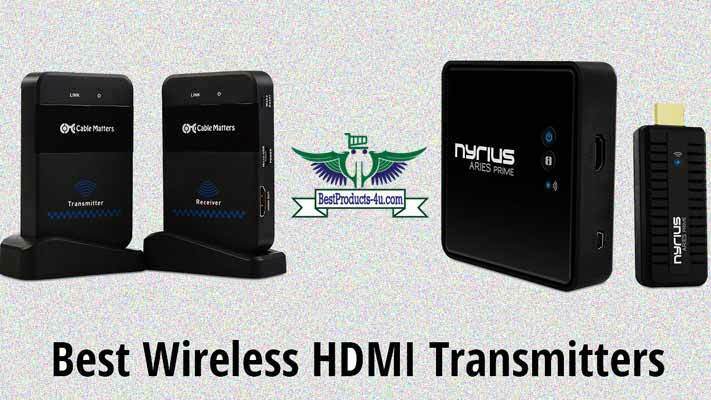 LG wireless HDMI is one of the best wireless HDMI transmitter and receiver. As you’d expect with an LG product, this media kit has a sleek look combined with a compact design. It measures just 11.7″ in width with a height of 1.7″. The depth of 8.9″ makes it small enough to tuck away in a draw or an out of sight cupboard. The signal it emits is powerful enough to penetrate walls and ceilings from up to 50 feet away, so you’ll have no problem using it from anywhere in your house. When it comes to products like this, the main thing to look for is the quality of the signal. There’s little point in buying a state-of-the-art television if the signal it receives is below par. 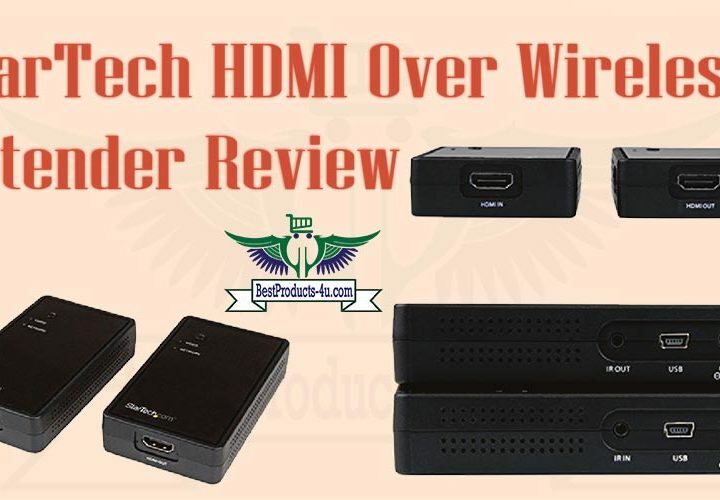 This model emits a full-HD 1080p signal alongside a wireless digital receiver. The signal itself is uncompressed which means your images will arrive in the same quality that you’ve sent them. The receiver itself is compact enough to avoid sticking out amongst your other devices and home decor. Televisions are multi-use devices. We can catch up on the latest shows, watch live TV, play video-games or even stream home videos. For each of these uses, you need devices. The LG AN-WL100W media kit offers four HDMI slots which provide fast real-time streaming. Each port provides 10.2 Gbps of bandwidth which provides deeper colors helping you to make the most of your HD display. 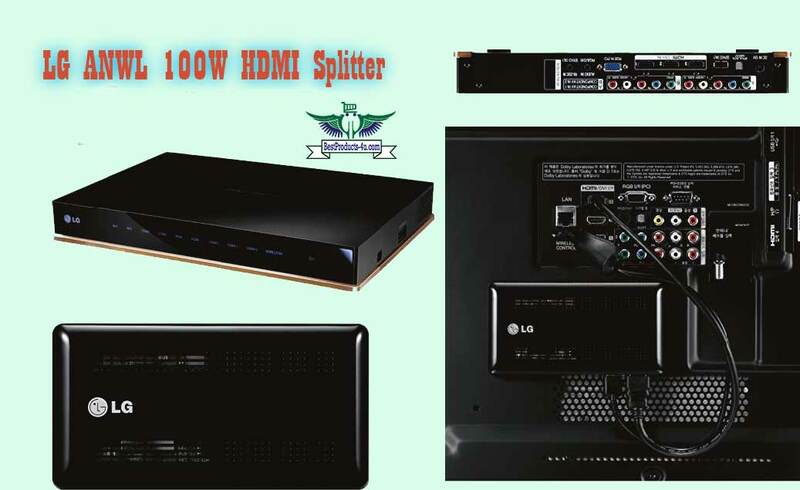 If you own an LG LCD or Plasma television with Netcast, then the LG ANWL is compatible. It removes the clutter from your home without compromising on picture quality. Going wireless is the hallmark of modern technology, and this unit is a stepping stone toward that. The price is competitive with a simple setup that comes from a brand with an excellent reputation for quality manufacture and customer service. De-clutter your multi-media with this device now. Shopping with global brands like LG has more than a few benefits. The first is all-access to their excellent customer service and repairs team. All their manufacture is heavily regulated which guarantees a lasting build quality. Furthermore, should you have any problems, LG has locations all over the US where you can send or receive products quickly and easily.